Our fleet includes 7 recovery vehicles each equipped with state of the art GPS navigation and location transmitters. We can not only find your carriages, we can pinpoint problem neighborhoods and concentrate our efforts there. 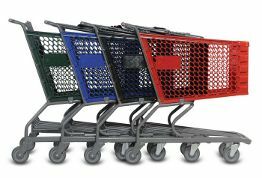 We work seven days a weeks and recover about 150,000 carts per year for your competition. Can you afford NOT to have your carriages recovered! Call us Toady!